Cindie - Co-Founder of CWOW. Prayer Warriors 4 God - Click to join this awesome Prayer Warriors List. 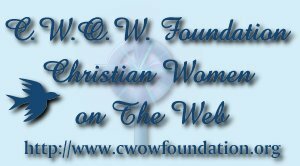 This Christian Panic Disorder Webring site owned by Cindie.